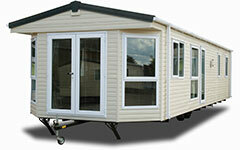 Top prices paid for pre-owned static caravans & holiday homes throughout Yorkshire. If you are thinking of selling your static caravan holiday home, UK Holiday Homes Ltd offers top prices for pre-owned caravans, as experts in the field we can provide you with the latest accurate pre-owned pricing information on your make and model, please make sure that you get an offer from us before you sell, you never know our offer just may surprise you. We just need a few details to help us prepare your valuation. Please complete the form below and we'll get back to you with a price.